The EDGE Center is dedicated to contributing to evidence-based changes in regulatory policy and public health or medical practice that result in a reduction in the burden of environmentally related diseases. The EDGE Center fosters novel research on molecular signatures associated with toxicant exposures using modern molecular and systems biology approaches to explain interactions between genetics, epigenetics and environmental factors and how these contribute to both acute and chronic diseases of public health importance. 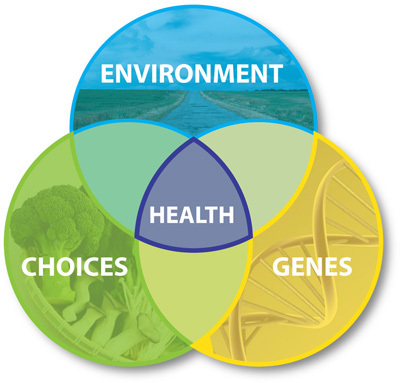 Through discovery of important genetic, epigenetic and environmental determinants of chronic diseases, novel approaches to prevention, early diagnosis and effective treatments can be developed that will substantially reduce the social burden and health care costs associated with premature morbidity and mortality from environmentally related diseases such as cancer, cardiovascular disease, respiratory disease, liver disease, kidney disease, metabolic disorders, chronic neurodegenerative diseases and developmental and reproductive disorders.